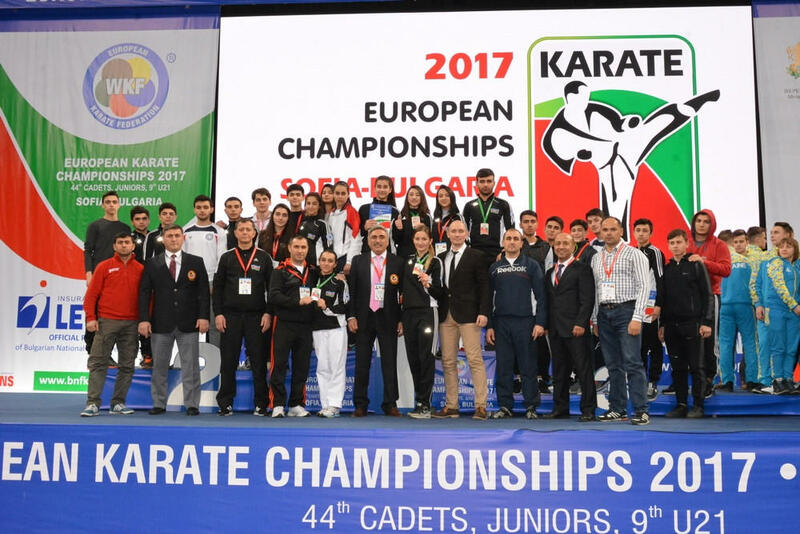 Azerbaijani karatekas won 4 medals in European youth championship in Sophia, Bulgaria, Azerbaijan Karate Federation reported. Young fighters brought home 1 gold, 1 silver and 2 bronze. On first day of the tournament 14-15 age group sportswoman Ayla Rzazade won bronze medal in 54kg category. The next day Murad Hajizade (+76kg) won another bronze medal in 16-18 age group. On last day of the tournament Irina Zaretska (Under-21 age group, 61kg) defeated all rivals to become European champion. Asya Malikova (Under-21 age group, 50kg) lost only final match and won silver medal. Notably, Azerbaijan positioned itself the 13th among 34 medal winners. More than 1000 karatekas from 50 countries attended the European championship.